Le Vian makes a fresh interpretation on the figure of eight symbol, often used to symbolise infinity. Carefully placed Chocolate and Vanilla Diamonds sit on precious Strawberry Gold that wrap around the figure of eight into a warm embrace. 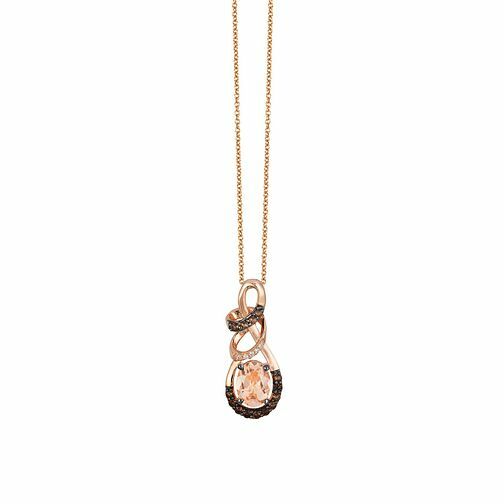 A Peach Morganite jewel creates the focal point and gives it a luxury poise. The Le Vian name has been associated with the world's finest jewellery since the 15th century and is now worn by Hollywood celebrities and the glitterati.